Since 1992, Ruggles & Jeffery has been providing national integrated construction solutions for the commercial, health, public, financial and education sectors. We have provided seamless design, construction, fitting and relocation projects for major financial institutions and blue chip clients across the UK. Ruggles & Jeffery know that the perfect interpretation of our client’s vision is essential. 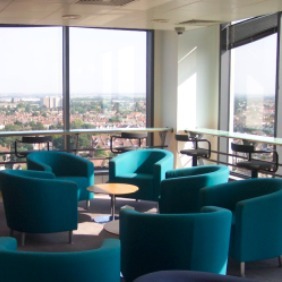 We have worked closely with legal, insurance, banking and accountancy organisations and recognise the specific challenges that come with highly serviced buildings. We have many delighted customers who have been happy to work with us time and again. More than 85 per cent of our work is repeat business, proving our ability to foster excellent working relationships at all levels. To find out more about what Ruggles & Jeffery can do for you and your business, please fill in the form below and we'll get right back to you, or call us on the number at the top of this page. We look forward to making your vision a reality. * I am happy to receive information about Ruggles & Jeffery.